At LAVO this past Saturday night , a number of celebs dined at the Italian eatery. 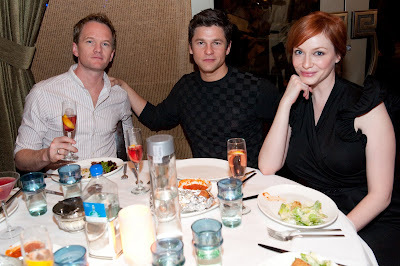 Mad Men’s Christina Hendricks and Neil Patrick Harris from How I Met Your Mother gathered a group of friends for a dinner that included Sea Bass and dessert of Oreo Zeppole, along with LAVO’s signature Pomegranate Lemonada cocktail. Giuliana and Bill Rancic enjoyed a romantic dinner for two with wine, while nearby Kelly Bensimon of the Real Housewives of NYC dined with friends before heading up to the nightclub. 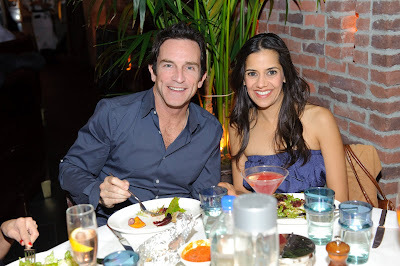 Survivor host Jeff Probst also dined at LAVO. Rapper and hip hop artist Wale, who hosted in the nightclub, began with dinner in the restaurant. Feasting on Italian favorites from the kitchen, Wale and friends warmed up for the club with shots of Patron. Once upstairs he surprised the packed club, hopping up onto the LAVO catwalk and entertaining the crowd with a 20 minute set.